Center is probably the hardest position to play in the game. No amount of physicality is ever enough. They need to be able to hold their own against some of the strongest athletes in the world. They need to defend, score and go box to box for the entire game even though most weigh more than 250 pounds. Certainly not a piece of cake. The most famous and impactful players of this game have always been centers. Some powerful forces have patrolled the paint in the past. I chose five of them, who I believe were the most accomplished, and the most regarded ones. Even if you don’t agree with me, one can’t argue about any of these five men. Shaq is a four time NBA Champion, 3 time NBA Finals MVP, 1 time MVP and 15 time All-Star. He was an overpowering low post presence. He weighed 325 pounds (147 Kg) and stood at 7 ft 1 in. He used his immense physique to accumulate a ton of points and rebounds over a 19 year career. Shaq achieved a three peat with the Lakers from 2000-02 under legendary coach Phil Jackson. He then won his 4th Championship with the Miami Heat in 2006. He’s scored the fifth most points of all time. Just imagine if he was a better free throw shooter. 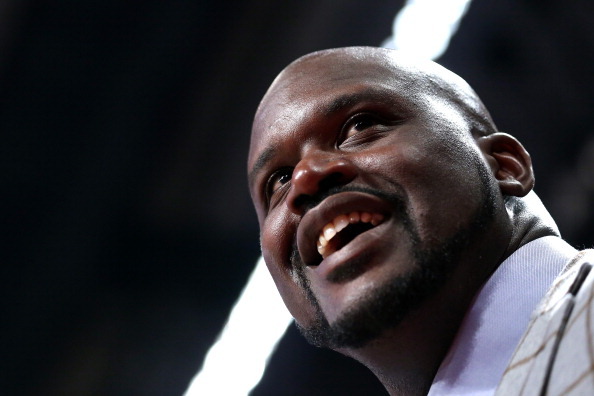 Shaq is currently an analyst at TNT and is a minority owner of the Sacramento Kings.